On March 13, 2016, Robert and Ruth Robinson requested an Uber through the phone app. They were picked up by driver Baher Tamim. The Robinson’s allege that Tamim’s negligence caused his vehicle to crash into another car that was stopped at a red light near Post Street in San Francisco. In a lawsuit filed in April against Uber, its wholly owned subsidiary Rasier LLC, and Tamim, the Robinsons cliam that the driver’s negligence behind the wheel caused them injuries. Ride-sharing services like Uber have become extremely popular around the country. They can be incredibly convenient and can increase safety on the roads by ensuring that overly tired or inebriated individuals do not drive. However, ride-sharing drivers are normal individuals. They are not trained or expert drivers, and they can be careless, reckless, and intentionally harmful when driving. When this behavior causes an accident and results in their passengers becoming injured, the drivers and the ride-sharing companies face civil liability. If you were injured in an accident caused by your ride-sharing service driver’s negligence, contact an experienced San Francisco personal injury attorney from Brod Law Firm. Uber and other services carry insurance plans, but you may need help filing a successful insurance claim or representation for a personal injury suit. In terms of third-party coverage, the injured third parties like the Robinsons can make a claim against a $1 million total liability policy. This means the policy limit for bodily injury and loss of property is $1 million – much higher than state law requires or the average taxi driver’s policy. While Uber provides insurance coverage for passengers injured by their driver’s negligence, there are times when a personal injury lawsuit is appropriate or necessary. When a formal personal injury lawsuit is filed, each party can take advantage of the discovery process. 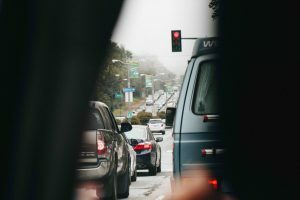 This can help the injured third party gather evidence of the driver or ride-sharing service’s negligence by obtaining records, other documentation, vehicle data, answers to questions, deposition testimony, and more. This can help the injured party strengthen his or her case, even if he or she would prefer to settle and not go to trial. A lawsuit may also be necessary when an insurance claim is made and denied. If an injured passenger believes his or her claim was wrongly denied, then he or she has the option to go to court and seek compensation based on a judge’s or jury’s decision. If you were injured while in a ride-share vehicle because of the driver’s actions, call an experienced personal injury lawyer from Brod Law Firm right away at (800) 427-7020. An attorney can help you file and support your claim against Uber’s insurance policy.